Almost 15 years after the first Monster Hunter title was released, PC gamers are finally getting their chance to hunt giant beasts with up to three friends. The Monster Hunter: World’s PC port was delayed by eight months. 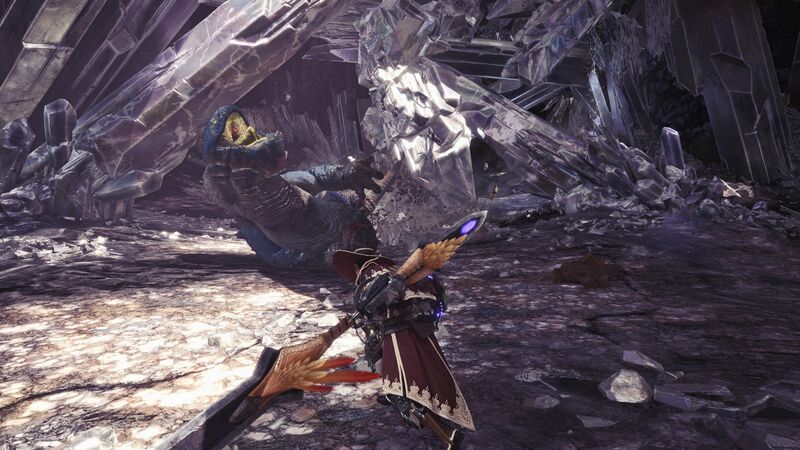 Although the delay has led to a small content lag on the PC version, Capcom has spent the time implementing PC-specific features and optimization. Monster Hunter: World sends players after an Elder Dragon taking a once per decade migration called the Elder Crossing to the New World. As a hunter assigned to the Research Commission, players will join a team of researchers, hunters, and support staff to uncover the mystery behind the migration. 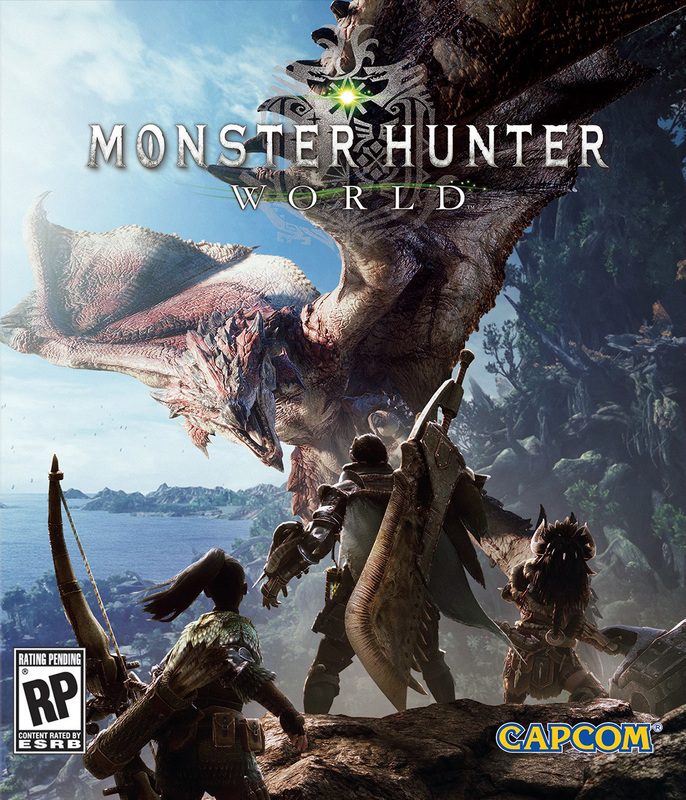 Like many PC gamers, Monster Hunter: World is the first time I am experiencing the long running franchise for myself. The game does a good job easing new players into the franchise. Players are treated as newcomers to the continent, so setting is laid out clearly with few assumptions of previous knowledge. The plot feels a bit slow but serves as decent enough backdrop for the game’s equipment treadmill. 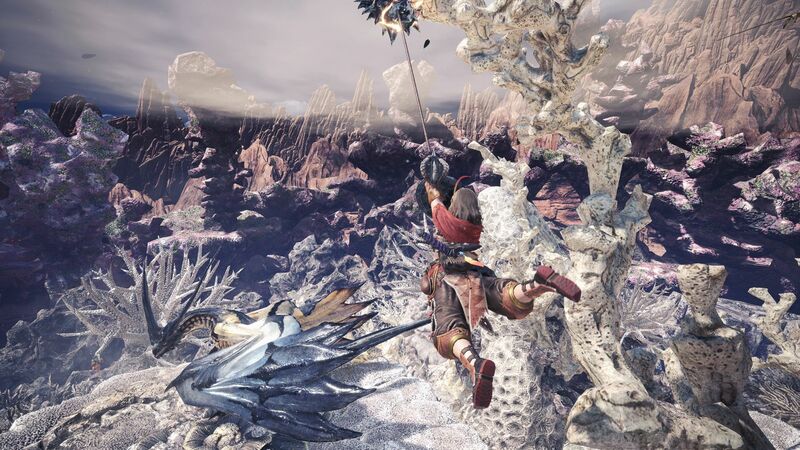 Monster Hunter: World is a high-skill action loot grinder where players hunt progressively more challenging monsters to harvest raw materials for better gear. The game is composed of several open world maps, each with their own distinct ecosystem. 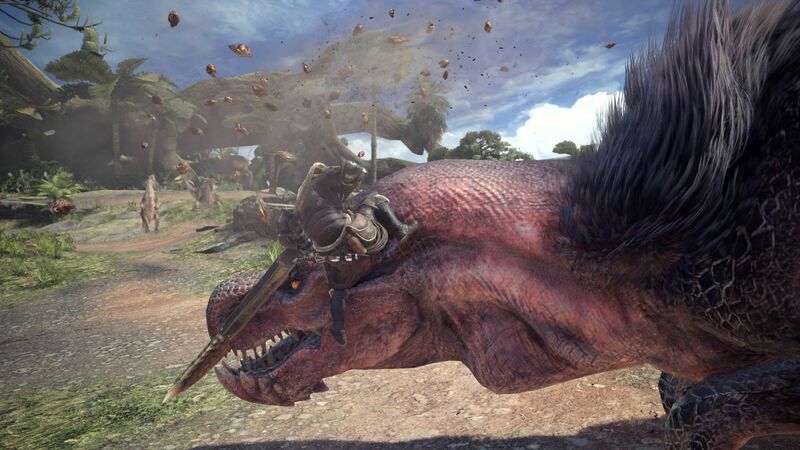 While hunting giant monsters is still the bread and butter of the game, players still have plenty of side missions to capture small animals and hunt mid size monsters for acquire some extra cash and resources. Combat is solid in Monster Hunter: World. The controls are very responsive, making me feel like I am being rewarded for high skill maneuvers. There are 14 weapon types to choose from, offering options for just about every playstyle and skill level. Even simpler weapons like the light bowgun and the dual blades will still have a decent learning curve that will require players to master basic mechanics and a few combos. For those of us who are new to the franchise, Monster Hunter: World offers some decent albeit slightly scattered tutorials. Visual learners are out of luck, as basic gameplay mechanics are introduced with text heavy tutorials as they appear. Choosing a weapon and learning the right combos for each situation will end up being a matter of experimentation and relying on the already beefy library of tutorials online as the game only offers vague descriptions of playstyles and a short clip of gameplay for each weapon type. The PC port quality leaves much to be desired. The graphical options are rare bright spot, as the game supports all the modern graphical options expected from a proper PC port, but on the other hand the ported controls and networking options are a mess. While some menus have been converted to be mouse friendly, many menus reset the mouse to the centre of the screen or require unnatural button presses to trigger actions. Key bind options feel like they are almost directly copied from controller. While there are a few more options for bind or hold, many keys have multiple functions bound together that would normally be split up on a PC title. Luckily, the controller works much better with Monster Hunter: World. Multiplayer is poorly executed on the PC. To start with, Monster Hunter: World is experiencing serious network issues. The developers have acknowledged they are working on addressing connection issues that cause players to drop constantly. I find the party system to be clunky, making it difficult to stay as a group between missions when returning to the main hub. Instead, players are dropped back into the same 16 player lobby, but all members must manually join the next quest that is posted. Getting the assigned story mission quests to work in multiplayer is even more challenging, as the game locks out other players until all the cutscenes have been found. The only way to get friends into story quests is to return home part way, then reboot the quest with friends. Getting friends into private lobbies is unnecessarily clunky, as the Capcom seems to only partially integrate Steam’s services into the game. Instead of the usual Steam invite over the Friends list, players need to either set the lobby to public before the invites go out or send friends an oddly archaic ID string for them to input into the game. The voice chat is barebones, with no real options for transmission volume, push to talk, or other basics. A third-party voice chat is highly recommended for playing with friends. Monster Hunter: World is gorgeous on the PC. The world feels alive with creatures big and small roaming around and interacting with each other. The individual areas are stylistic unique, with a few eye-catching areas like the Coral Highlands. The equipment sets look great, integrating parts of the respective monster into the design. The animations are solid for the most part. There are a few things like the unnatural running and awkward looking facial movements that feel so out of place compared to the rest of the animations that I must wonder if they were purposely kept holdovers from previous Monster Hunter titles as a nod to long time players. The audio experience is very good. The sound effects are solid. The soundtrack serves as an excellent accompaniment to the hours of monster hunting the game offers. It is subtle enough that it never gets dull after long periods of time, but punchy enough to increase tension during gameplay. The game comes packed with a lot of voice over languages. The English voice overs are generally very good, though there are a few minor characters with obviously weaker voice actors. There is a Monster Hunter Language voice over option. I suspect its inclusion is yet another nod to long time players because it sounds awful to a newcomer like me. It sounds a lot like poor dubbing from old Chinse kung fu films as the conversation length rarely matches the subtitles and the actual voice acting quality sounds like the voice actor was reading lines after being hit in the head with a sledgehammer. As we’ve all established after the console release, Monster Hunter: World is still a fantastic game. Its lively world, skill heavy combat, and addictive loot treadmill kept me glued to my seat for hours on end. 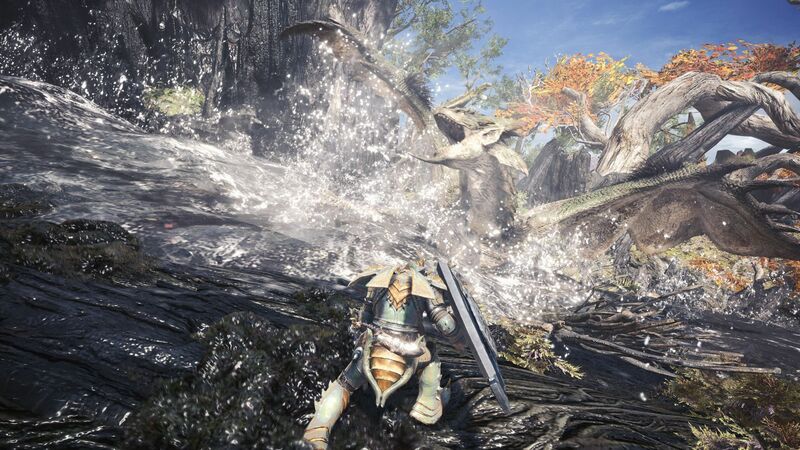 Unfortunately for PC gamers, Monster Hunter: World is far from a good PC port and is still a massive work in progress. Even so, it’s definitely worth plugging in a controller and toughing out the game’s quirks to get a taste of the action.